Swami Vivekananda said, “My hope of the future lies in the youth of character, intelligence, renouncing all for the service of others, and good to themselves and country at large”. 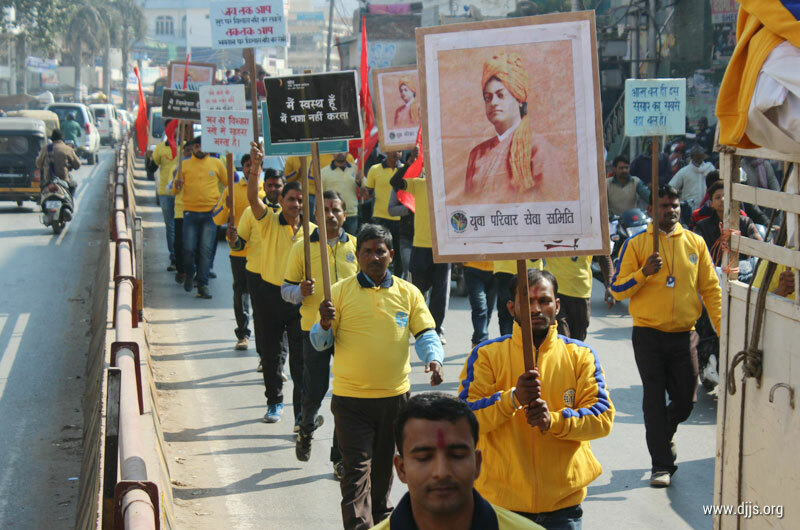 On the occasion of his birthday, National Youth Day was celebrated all over India. A youth has no age. Youth has the power to take charge of an idea and turn it into the reality for society and nation. With such a motive, Divya Jyoti Jagrati Sansthan (DJJS) - a non-government, non-profit and a leading socio-spiritual organization, head and founded by His Holiness Ashutosh Maharaj Ji, conducted an event of motivational workshop on 12th January 2017 at Jeevandeep Institute of Management & Technology, Varanasi, U.P. An inspirational rally before the event, called for youth to come forward and take charge of the nation. The Spiritual Orator of the program- Swami Sumedhanand Ji, a devoted disciple of revered master, made the young people realize the earnest requirement to bring a change in the nation. His words of wisdom along with sheer confidence in the mission spirited the inner power of youth and guided them to become a youth what ancient India has always seen. During this era, where youngsters destruct their own lives in the drugs addiction and deviate themselves from higher career goals, they quit soon. The precious life is lost in the daily chores of life. Swami Ji told that you’re never too young to change the World as you possess the much power and strength of determination which is much beyond your imagination. Swami Ji encouraged them to know their true self as all changes originates from within and then manifested outside. Youth were highly spirited and realized the worth of youth in their life and took pledge to perform selfless service for the benefit of the nation.